Debbie Owen joined UDC in 2015 and has over 25 years in the property management industry, starting her career as a leasing consultant with Equity Residential in Florida. 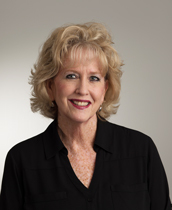 Debbie has worked at various garden style apartment communities all over the southeast, including new construction lease ups, student properties and rehab projects. Along the way, Debbie has worked for Colonial Properties, Fairfield Residential, Band M Management and most recently Greystar, where she was a Trainer and Property Manager for various locations. She spent 2 years traveling throughout the United States doing condo conversions before residing in Beaufort and Greenville, South Carolina as a Licensed Property Manager for the last 8 years.